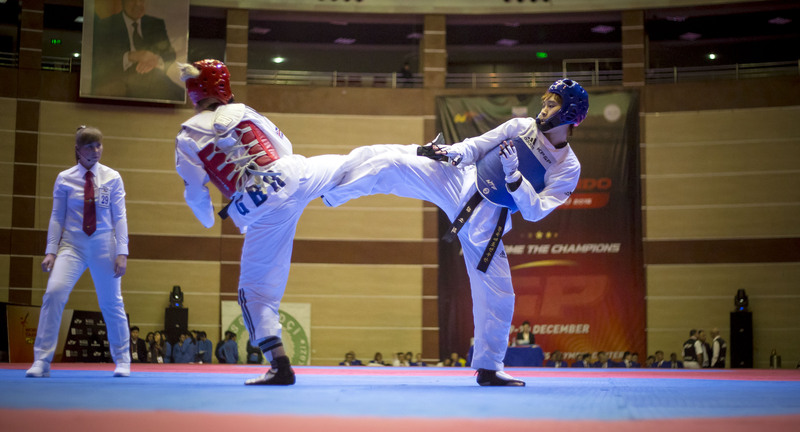 Charlie Maddock returned to Baku with a bang by becoming Great Britain’s latest World Taekwondo Federation World Taekwondo Grand Prix champion. 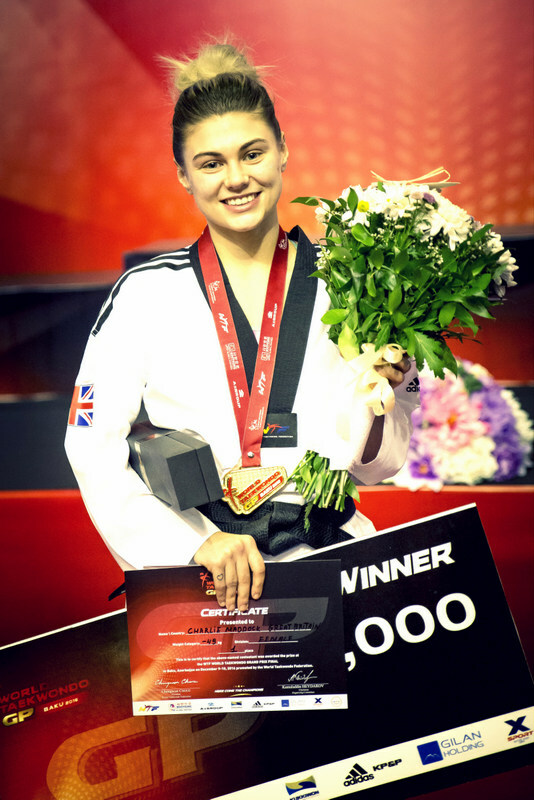 And the Stoke on Trent born star achieved a fantastic triumph by beating Olympic gold medallist Sohui Kim of South Korea 4-0 in the final of the -49kg category. Maddock became Team GB’s first ever female European Games gold medallist when she won her title in the Azerbaijani capital last year. Despite her inactivity during the second half of the year Maddock produced some five-star performances including a golden point, semi-final victory over Iryna Romoldanova of Ukraine. The 21-year-old former kick boxer from the Potteries follows Mahama Cho, Lutalo Muhammad and Jade Jones as British Grand Prix champions. There was no joy, however, for Damon Sansum in the -80kg competition. The 2015 World Championship silver medallist reached the quarter-finals in his first tournament for more than six months only to lose 5-4 against 2014 European champion, Albert Gaun, of Russia. Britain’s four remaining fighters are in action tomorrow (Saturday) including double Olympic champion, Jones, the current Grand Prix champion, and reigning world title holder and Rio bronze medallist, Bianca Walkden.